Silas graduated as a physiotherapist from Otago University in 2013. He has primarily worked in private practice over West Auckland and has gained experience working with different rugby league and football teams. 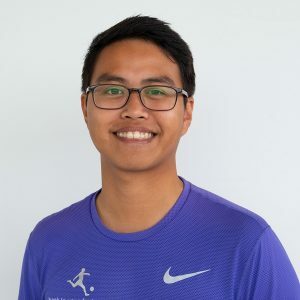 Silas' main interests lie in the diagnosis and treatment of musculoskeletal and sporting injuries particularly football and is currently the first team physio for WSAFC Men's Team. His approach involves a strong exercise component balanced with hands on manual therapy focusing on strength, mobility and biomechanics. He is currently completing the FIFA Sports Medicine Online Diploma and wishes to further his post graduate studies. Outside of work, Silas enjoys playing football, basketball and spending time with friends and family.